As reported on eTN a year ago, Saudi Arabia, UAE, Bahrain, and Egypt had cut diplomatic ties and all land sea and air contacts with Qatar, accusing the Persian Gulf country of supporting terrorism and interfering in their internal affairs. A year Qatar Airways experienced a “substantial” loss in its last financial year, after access to 18 cities was eliminated in the four blockading nations. At the same time almost daily Qatar Airways reports about new routes, new service enhancement and just today the International Air Transport Association (IATA) announced that Qatar Airways Group Chief Executive, His Excellency Akbar Al Baker, has assumed his duties as Chairman of the IATA Board of Governors (BoG) for a one-year term effective from the conclusion of the 74th IATA Annual General Meeting in Sydney, Australia. With new stopover programs, Qatar Airways is promoting tourism to Qatar. Egypt was an important source market besides UAE and Saudi Arabia, but it is expected overall Qatar will be able to report surprising tourism arrivals despite the blockade. Two years ago Qatar Airways was one of the main sponsor for the Arabian Travel Market in Dubai. This year no exhibitor from Qatar was allowed to participate at ATM. In the days and weeks following the dispute, cargo ships and hundreds of planes loaded with food from Turkey, Iran, Oman, Morocco, and India entered Qatar to ensure there were no immediate shortages of supplies. According to an International Monetary Fund report from March, Qatar’s banking system has recovered from initial outflows and the economy is expected to grow 2.6 percent this year – compared to 2.1 percent in 2017. Even the country’s fiscal deficit is estimated to have narrowed to about 6 percent of gross domestic product in 2017 from 9.2 percent in 2016 , the IMF said. Saudi Arabia’s King Salman has threatened to take military action if Qatar installs a Russian air defense system, France’s Le Monde newspaper reported. A year on, however, Qatar has not only weathered the storm — it also appears to have emerged as the main winner of the conflict. A global aviation safety watchdog’s message to Qatar about its violation of international aviation norms in intercepting UAE civilian aircraft with military jets is a clear vindication of the UAE’s concerns about Qatar’s intentions, a top UAE civil aviation executive told Gulf News. “During a special session, the International Civil Aviation Organisation [ICAO] reaffirmed that it was not the forum for arbitrating any political dispute but its mandate was to ensure the safety of civilian aircraft and their passengers – which Qatar is severely endangering through its actions.” Therefore, the message from ICAO to Qatar was very clear: to coordinate effectively and in advance for any such military activities. The ICAO also made it clear that it will be monitoring Qatar closely and ensure that they do not try to commit similar violations in future, otherwise, they will be in a very bad situation. Montréal, Canada, has been recognized as the permanent seat of ICAO since 1946. Canada and ICAO are currently discussing an arrangement covering the lease of the ICAO Headquarters premises, which would be effective from 1 December 2016 through 30 November 2036. The State of Qatar had presented ICAO with an offer to serve as the new permanent seat of the Organization, also beginning in 2016. ICAO’s consideration of the Qatar proposal stems from our official obligations under Article 45 of the Convention on International Civil Aviation (Chicago, 1944) and an ICAO Assembly Resolution (A8-5) regarding Consideration of proposals to move the permanent seat. These provisions stipulate that the Qatar offer must be considered by all of ICAO’s 191 Member States at the next convening of the triennial ICAO Assembly, which will take place from 24 September through 4 October of this year. 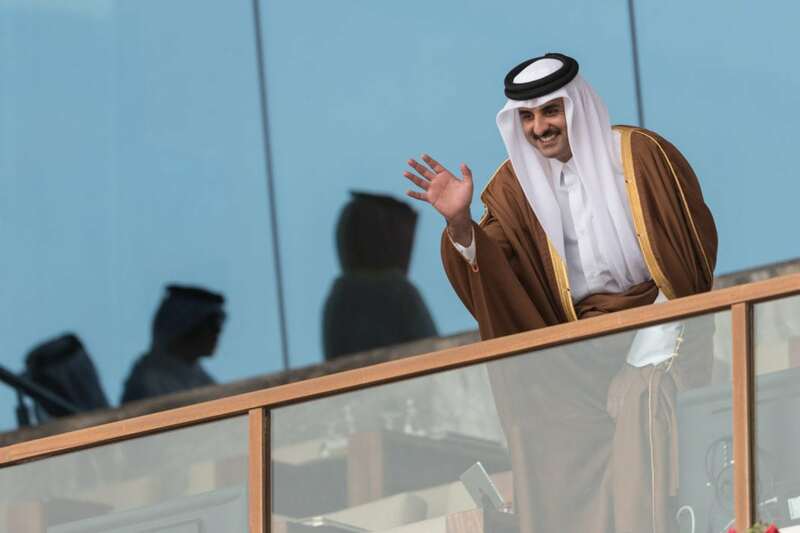 Former Qatari prime minister Hamad bin Jassim bin Jaber Al Thani stated on Twitter in April that Israelis had the right to live in their own land, as do the Palestinians. These statements came days after similar remarks by Saudi Crown Prince Mohammed bin Salman. News reports have surfaced indicating extensive behind-the-scenes diplomatic and intelligence cooperation between Saudi Arabia and Israel, in pursuit of mutual goals against regional enemy Iran. Qatar relies on Iran after the blockade. Overflying Iranian territory by Qatar Airways is a top priority. Therefore Iran officially said it would not participate in any military activities that could upset Teheran. A secret Israel trade office was in Israel for years and was one of the reasons for the current blockade.